Please check the size of your notebook before placing your order to make sure it will fit in the bag. 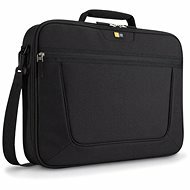 Case Logic CL-PNC216 is a 16" laptop bag. It is designed for intensive, everyday use. 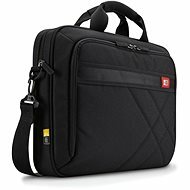 It offers a heavily padded laptop compartment, a tiltable front of the bag, and a strap for mounting the laptop, for instance, onto a travel case. It also boasts a very low weight, which contrasts the high resistance of the materials used. 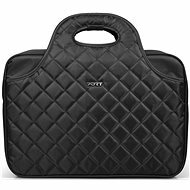 Inside the bag you will also find a special pocket for documents and a spacious accessory compartment. The padded pockets of the organizer are provided with special anti-scratch modification. The rear mesh pocket easily accommodates even larger accessories. Overall stiffness of the structure is ensured by a wire frame and special EVA material. Documents, cards and other smaller items can be hidden in another front pocket of a smaller size. 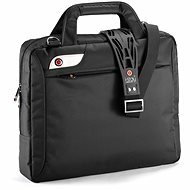 For shipping to other EU countries visit this page Case Logic PNC216 up to 16" black. 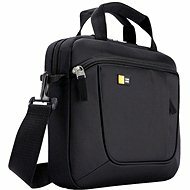 Für Versand nach Deutschland, besuchen Sie bitte Case Logic PNC216 do 16" schwarz. Chcete doručit zboží do Česka? Prohlédněte si Case Logic PNC216 do 16" černá. Chcete doručiť tovar na Slovensko? Prezrite si Case Logic CL-PNC216 do 16" čierna. Für Versand nach Österreich, besuchen Sie bitte Case Logic PNC216 do 16" schwarz. Magyarországra történő kiszállításért tekintse meg ezt a termékoldalt: Case Logic CL-PNC216 16" - fekete. 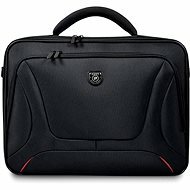 Case Logic DLC115 to 15.6"